Discovered in 1875 by P.E. Lecoq de Boisbaudran in Paris, France. 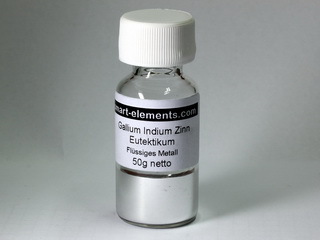 One of four metals which can be liquid at room temperature, gallium has the longest liquid range of any metal (2175C). 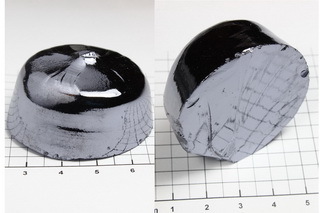 Below its melting point, it is a hard, brittle, glassy, silvery white metal which is stable in both air and water. 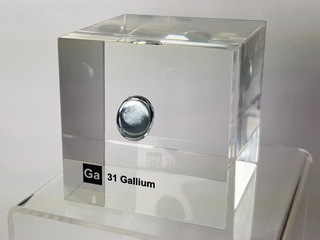 Gallium, along with indium and thallium which follow gallium in their group in the periodic table, is only found as a minor constituent of various minerals and has an abundance of 18 ppm in the earth's crust. Extraction of the element is achieved by electrolytic reduction in aqueous solution. Gallium is used in the semiconductor industry due to its semiconductor properties of alloys formed with phosphorus, arsenic and antimony. It is also used in the manufacture of light emitting diodes and microwave equipment. 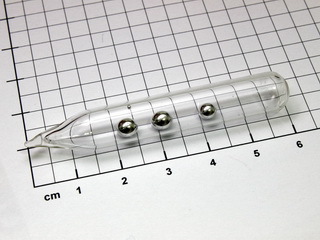 Before Gallium was discovered in 1875, its existence along with many of its physical and chemical properties were accurately predicted by Dimitri Mendeleev as a result of his work on the periodic table of the elements. 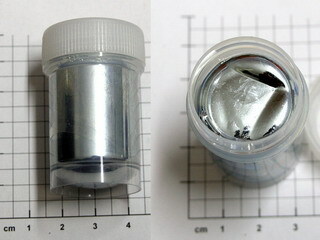 Liquid Gallium Metal under vacuum - Does not stick! 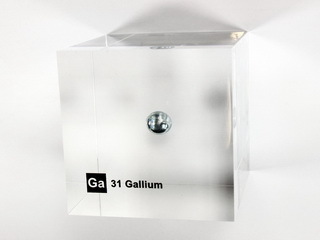 Acrylic Element cube - Gallium Ga - 50mm UNIQUE PIECE! 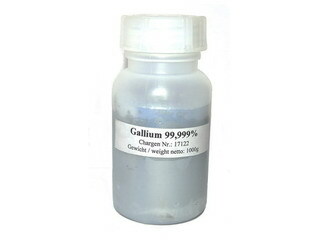 High purity Gallium Metal 100g 99,99% purity! High purity Gallium Metal 1000g 99,999% purity! High purity Gallium Metal 100g 99,999% purity! 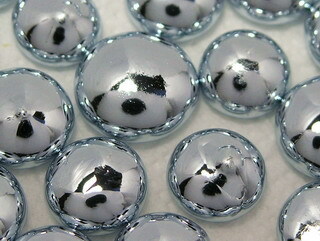 High purity Gallium Metal beads 10g 99,995% purity!